Cute 3 bedroom townhouse in small complex in Corrimal. 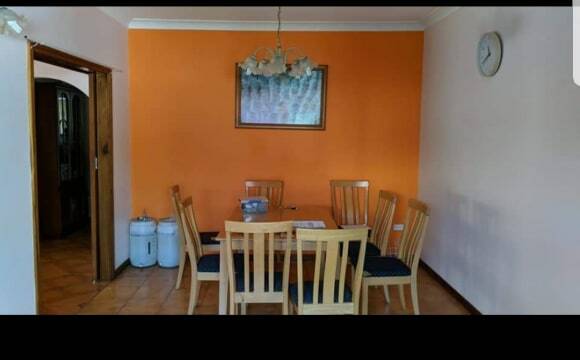 Walking distance to Train Station, Bus stop, Shopping Centre &amp; beach. Room is decent size big enough for a king with reasonable built in wardrobe. Also has adjoining balcony for someone who loves to watch the sunrise Sharing a bathroom with 1 female. Seeking someone who is fun and social but also likes there own space. This is not a party house but I don't mind the occasional weekend drink or night out after a tough week in the office. Bills are split 3 ways but we each pay additional $20 per week to cover. 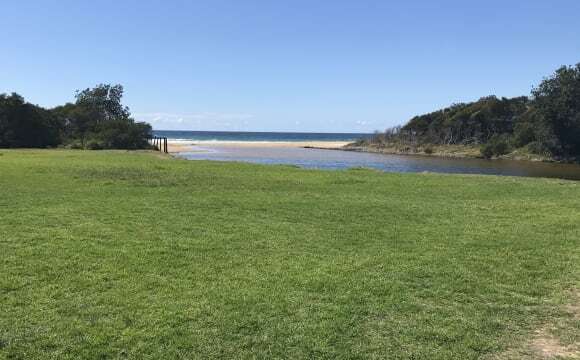 Close to Bellambi train station and beach. Huge yard. It's in a quiet street, warm and friendly. It's near the bush but a short ride to the beach. It has enough space for two people to be separate for privacy. 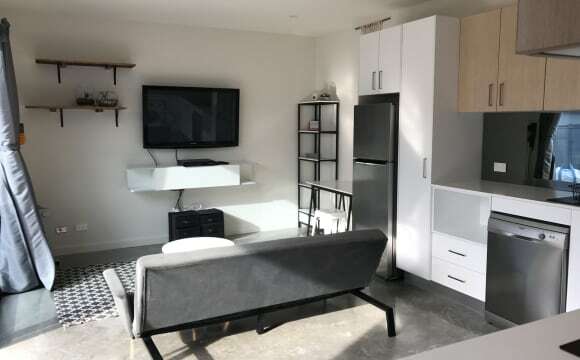 Close to all you need, bus stop around corner, grocery store, cafes, restaurants and entertainment. Beautiful renovated older style home, with new EVERYTHING, HUGE yard and built in wardrobes plus the best front and back deck for arvo beers/ or morning coffees. Room up for rent could easily fit a queen/double bed and have more space for other things. Medium sized bedrooms available. Looking for someone chilled out, clean and easy going. Conveniently located, a 2 minute stroll to Towradgi train station, 10 minute walk to free bus and literally down the road from the beach. Two car garage and on street parking available as well as 3 bathrooms. Only 3km away from the uni. All bills and unlimited NBN/quickest available speed internet included and we have a cleaner come weekly to do all bathrooms, common areas and kitchen. 3 mins walk from the station 10mins from the beach lovely spacious house with 2 rooms available. We're in an awesome spot right near the train station in Towradgi, really nice garden and yards with some chickens roaming the front yard (hope you like fresh eggs!!) It's a large house with plenty of bathrooms and a reasonable size kitchen and kitchenette in the granny flat so we manage to not step on each others toes. Also really close to Towradgi rock pool!! We have a couple of pups, Jake and Bernie, and they are absolute gentlemen. The rest of us aspire to be like them. We're right by Towradgi train station and rock pools. Nice gardens and yards with a handful of chickens running around. Have you always wanted to live close to the beach, in a nice and quite neighborhood. This could be the house for you! We offer a room in a two-bedroom townhouse at an amazing location in East Corrimal. Only one street away from East Corrimal beach, perfect for surfers or beach lovers. The house offer a “homy” feeling, very flexible with duration of stay as you don’t need to lock yourself in a contract. House comes with a garden, deck and outdoor shower (perfect after a surf or beach day). At the moment it is just my partner, myself and our lovely Mason (kelpie puppy) in the house. We enjoy a bit Netflix, which is included in the house. We are social people and love to have friends over. The house is fully furnished (bedroom furnished, but could be taken out if preferred). Bills are not included and rufly add 15$ a week to your rent as they are split 3 ways. If you have any questions about the house or about anything else please just shoot us a message. 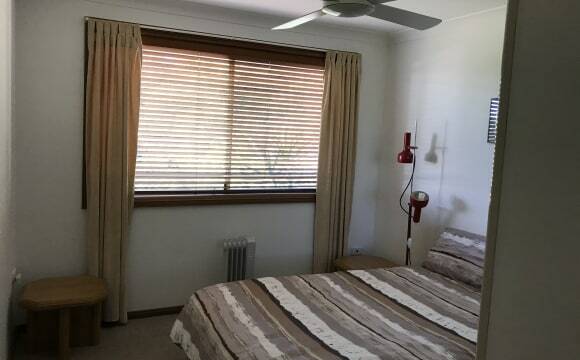 The room available is a semi granny flat with an onsuite and kitchenette but the kitchen and house is available for use as well. 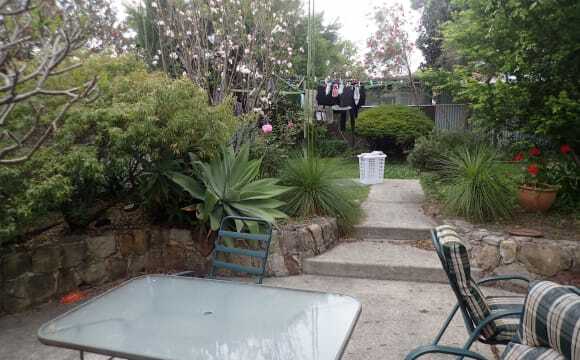 The house has a great back yard and garden and is a 5 minute walk to both eat Corrimal and bellambi beach. The bike path is visable from the house and its an easy flat ride up to woolongong and thirroul. The room can come furnished or unfurnished. $270 for a couple. LOCATION LOCATION !! opposite beach, cycle track, park, coffee shop. Short walk to other shops, schools and transport. 10 min drive to Wollongong cbd, easy commute to Sydney. Looking for an employed flatmate, non smoker, any age. Room is furnished, large biw. but it doesn't show it in the photos. I can send more pics when needed. Why Is This The Place For You? This home has spacious, open living areas… one upstairs, one downstairs. It has a large grassy backyard with a veggie garden available for you to use. On the balcony is a gas BBQ and timber outdoor setting, with views of both the ocean and the escarpment. Other benefits: •	10 minute walk to bus stop on highway. •	All shared living areas are fully furnished. •	Open kitchen with all appliances and utensils supplied. •	Shared bathroom with large bath and separate shower. •	Separate laundry with washing machine and dryer plus outside clothes line. •	Built-in robes in each bedroom. •	Locks on all bedroom doors. •	House has gas heating. Heaters supplied. •	Common TV upstairs – includes Fetch TV (Digital TV, Netflix) plus Xbox 360. •	Rent includes all bills, wifi plus fortnightly cleaner for shared areas and a gardener. Note: Couples are welcome. $50 additional rent applies for second person if you're sharing a room. Very close to the beach, blue pools, tennis/bball court, traino, servo, shops and town. Quiet street with lovely neighbours. We have a young border collie pup so we are really looking out for someone who loves doggos. Big backyard, plenty of room in the garage if you need to store stuff, heaps of natural light in the room up for grabs. You will be living with two teachers so therapeutic drinking with us is at times mandatory. This is only a short-term thing - unfortunately the owners are knocking the house down and building (presumably) some gaudy McMansion, but there are still 2 months of joy to be sucked out of this bad boy like marrow from the bone. The view does not disappoint! We are lucky enough to be located up on the 3rd level that overlooks the enscarpment below. The apartment is modern with a large loungeroom joining onto a spacious kitchen. We have two balconies which we generally leave the doors open for a nice breeze. Room is large enough to fit a queen, even a king possibly, built in wardrobe with plenty of storage space. We have a 2 carport garage with plenty of space to store boxes ect. On street parking if you're quick enough to secure a park or there is plenty of off street parking available. Internet is available but not included in rent, electricity and gas quarterly, not included in rent. 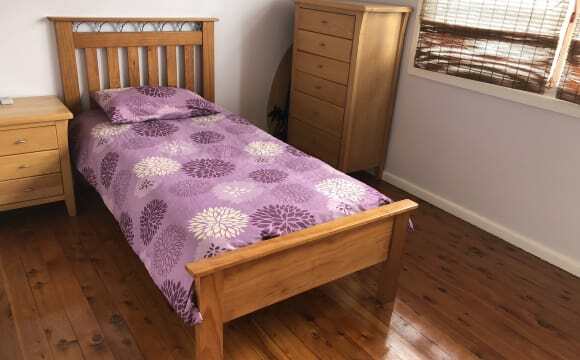 The place is 10 mins walk from Fairy Meadow or Towradgi train station. 10 Mins walk from the free Wollongong Shuttle Bus-stop. 10 Mins walk from Fairy Meadow Beach. Includes a Carspace in the underground garage. Bike Rack also in secure garage. Fully Secure building with FOB key and security intercom. Air-Conditioned. Large Balcony for entertaining with Weber BBQ. Internal Laundry with washer and dryer. *Pretty sure has access to the pool and Gym, but have to confirm this 100%. Absolute beachfront house on Towradgi beach.This is Towradgi coastal living at its best.The property is a near new 2 storey house. The entire downstairs area is available being 2 bedrooms living room and bathroom. I reside upstairs so you will have your own privacy. 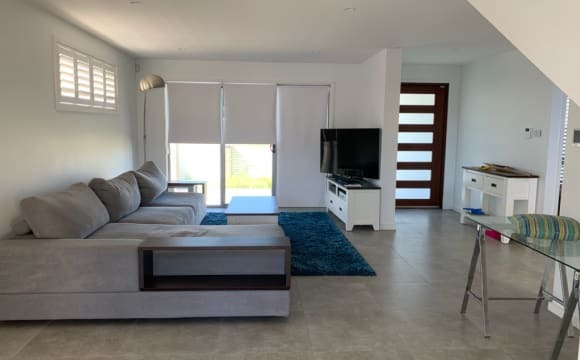 The rooms are furnished except for your bedroom.Enjoy watching the dolphins and whales swim past or simply listen to the sound of the ocean while enjoying the amazing view. If you like coastal living it doesnt get much better. Good-sized, 3 bedroom townhouse in complex. Just off the Main Street of Woonona, within 50-100 meters from everything you could need. Public transport, supermarket, petrol station, restaurants, gyms- you name it. Double garage in a secured complex (only one car in there at the moment). Plenty of storage space in the house too. Rest of the house is also fully furnished. Just need to furnish your room! Also only roughly 900m to Woonona/Bulli Beach! Gas stove and dishwasher in kitchen too! Its a 2 minute walk to the local and lovely Balgownie village. The Balgownie village has everything you need for a lazy or active lifestyle. From a old style but modernized pub offering tasty affordable meals to small restaraunts, coffee shops and all the other general shop services you can think of are there. The Wollongong university is approximately 6 minutes away by motor vehicle or motorcycle. Its 14 minutes away by bicycle or 23 minutes away by bus or 44 minutes walking distance. Paid bus service only a minute walk away. There is also a free bus available on Elliots road Fairy Meadow in the CBD area. You are only 8 minutes drive to the Beautiful Fairy Meadow beach. In the house itself you have a fully furnished lounge room with television, stereo system, lounge and all other modern commodities. There are roller blinds on the windows which block out light or noise if required. There are 2 carports for off street paring. The 1 bedroom on offer which has a good size in-built wardrobe and is reasonably large being larger than average. There is a shared kitchen area (large). 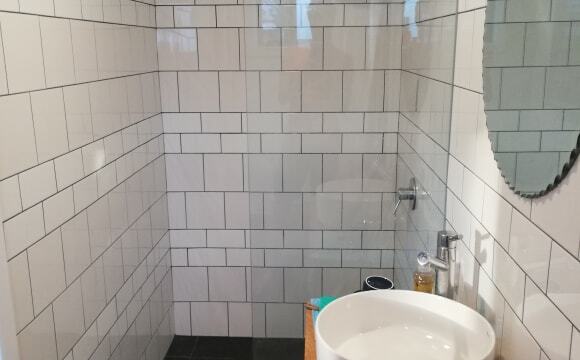 There is a shared bathroom with shower and bathtub (large), while there is also a spare shower and bath tub if required as an option for those sometimes situations. There is a small court yard/ timber decking at the rear for clothes hanging and an entertainment decking/ patio at the front which is quite large and great for just relaxing or chilling on your own or chilling out with a few mates. The mountain views are spectacular. The neighbourhood is very safe and secure. There is a back yard as well. 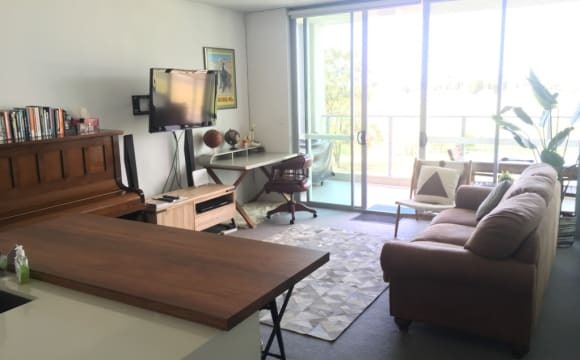 A good sized room, with bed, built-ins, wall unit and large study desk - I am happy for you to redecorate to some extent.. the only items that cannot be moved from the room is the wall unit- so if you have a double bed, I can remove the single bed. Am happy to remove the desk and chair if not required. You will be sharing the bathroom and of course everyone is expected to clean up after themselves. We are only looking for a short term stay person up to 3months. I have a no smoking and no pets policy, I like a clean place, but I am not a freak about it, I will opt to go out and then get back to the clean up. I am very much an outdoorsy person. The beach is just at the end of the street, and so is the bike track and the area has a very casual feel to living - especially in the summer. The train station is about a 8min walk and the bus a 5min walk. Large 3 bedroom townhouse with 2 living areas. Fully furnished. Close to Balgownie Village. Easy to get on/off freeway. Bus stop opposite. 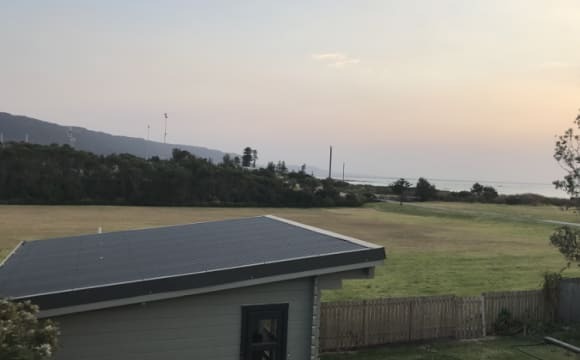 This is a studio/granny flat separate to my house that sits beside Bulli Beach and Nicholson Park reserve, just 50 metres from the beachside bike track. Five cafes are within strolling distance as are local shops, train and bus. Great location, lovely 3rd floor apartment with a small sunny balcony and a leafy view out to the escarpment. The place is furnished apart from the bedroom, but even that is negotiable. Rent is $200 a week, Internet is $30 per month, Electricity bills extra but pretty reasonable.